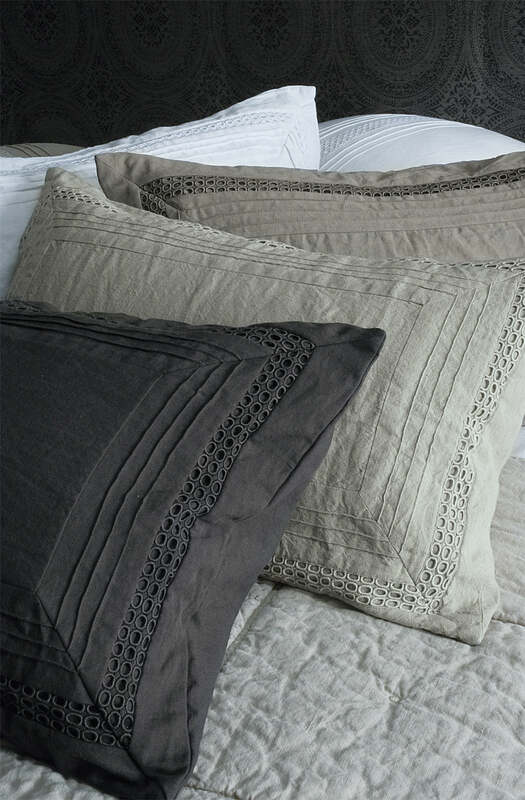 A contemporary design with machine stitched pin tucks and modern lace detailing. Available with matching eurocases. Please send me a sample of the following swatch for orba pillowcase - smoke.